The battle of the budget tablets just got a whole lot sweeter with the launch of budget tablets powered by Google’s latest Android OS, Ice Cream Sandwich. 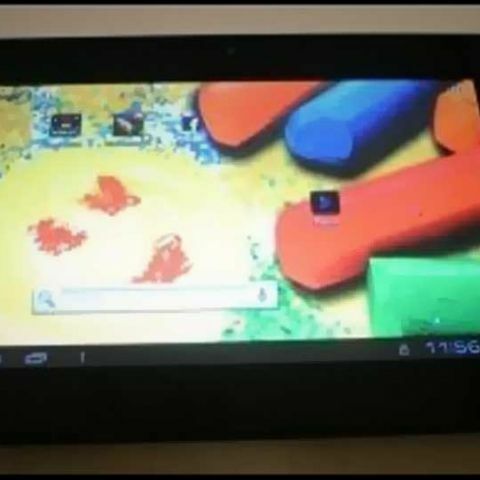 Of late, we have seen quite a few Ice Cream Sandwich running budget tablets hit the streets such as the HCL Me tablet U1, Zync Z990, iberry AUXUS AX02 and the Micromax Funbook to name a few. All these tablets are priced below the Rs. 10,000 price tag. If you were in the market to pick up one of these tablets, you are spoiled for choices. So, to help you with your buying decision, we have put together a quick look at the specifications, benchmark scores and some of the features of these budget ICS powered Android tablets. From the above table, one thing is clear. The iberry Auxus AX02 is the best of the list as it has the highest capacity battery, very good benchmark scores fells really comfortable in our hands and above all is a good overall performer. It is also the most expensive tablet on our list. Read a detailed review of the iberry Auxus AX02 here. The iberry is closely followed by the Micromax funbook in terms of benchmarks. The device is the cheapest on our list and hence you may find the touch to be a little less responsive than the others but it is capacitive in nature nonetheless. Coming in third is the Zync Z990. Its specifications are at par with the competition but its performance wasn’t at par with the other tablets on the list. Also read, Zync Z990 Review. The HCL Me tablet U1 is the last tablet on this list for only one reason. HCL has decided to remove access to the Google Play Store and instead put up its own HCL Me App store. The advantage of this is that you don’t need to log in or have a Google account to access the store. The down side is the App store isn’t updated frequently enough and you don’t have access to all the latest apps. We wish that HCL included access to the Google Play Store along with its own app store. Read HCL Me U1 tablet review here.